Welcome to Quincy's Floor Care Service! Our goal is to provide you with educational and useful information about our company that will make it easier for you to do business with us. Quincy's Floor Care Service has been in business since 1990 and servicing Boston and surrounding communities over two decades. 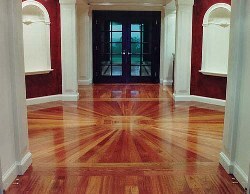 Our company is based in Malden, Massachusetts and is one of the finest and most reputable floor contractors in the state. We've built a tremendous reputation based on repeat businesses and referrals from our satisfied customers. Customer satisfaction is the main important aspect of our company. We provide services to both residential and commercial contracts which include residential houses, retail and commercial properties, gymnasiums, and professional working buildings. At Quincy's Floor Care Service we integrate value and principle on the target of delivering our customers with a large selection of flooring services. We commit on providing customers with personalized communication and attention in regards to their project needs. We know how important your flooring project is to you and we want to make certain that you are completely satisfied with our workmanship. When planning and working on your floors, we make exceptional efforts to produce the best results by using only the best materials. A new floor can be an everlasting pleasure that's why we want your floor to look its best! Quincy's Floor Care Service commits to the highest quality of craftsmanship and that is what our company's backbone is based upon. We specialize in high quality installation, sanding and finishing of new and existing hardwood floors in addition to variety of wood floors’ patterns and borders. Everything is done in house; nothing is sub-contracted out, in order to keep our high standards of craftsmanship. We can custom design a floor that's perfect for your home or office using or expertise gained from the past 20 years in business. We have over 20 years of experience ranging from basic to advanced installation and finishing, restoration, refurbishing and refinishing various woods. Our reputation is virtually unbeatable. Whether you prefer ultramodern look or an old fashioned colonnade, our company will unveil the beauty of your floors to its fullest potential. 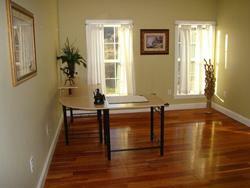 Our professionals will skillfully and artistically create whatever affects you desire. At this site, you will discover all about what we offer you, the customer. Feel free to browse around this site. Each page is filled with information, hints, suggestions, pictures, and stories about the work we do. If you like what you see, have questions about our services, or simply need more information feel free to call (617) 412-1107 / (617) 800-4869 or email by clicking on the QuincysFloorCareService@gmail.com button within this site. Thanks for visiting and we look forward to serving your flooring needs.